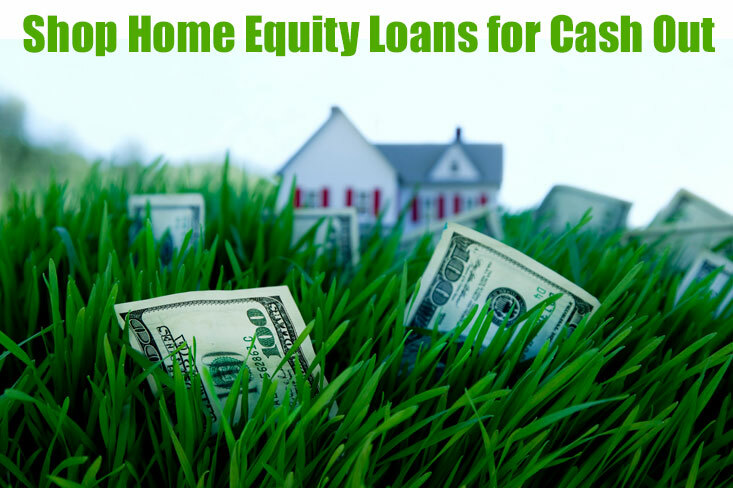 Millions of home owners today like to tap the equity in their home to pay for things they want or need with a cash out home equity loan, refinance or HELOC. One of the big reasons is that homes are appreciating in value; in 2017, homes in the US on average grew in value by more than 6%. Finding a home equity loan for first time house buyers is not always easy. From home renovations to college tuition to a new car, there are many big-ticket expenses that many people can only afford by using the equity in their property. Homeowners have a huge advantage in accessing cheap money with home equity loans & HELOCs being advertised with very low interest rates. To determine if pulling cash out of your home is for you, it is necessary to explain what each of these types of loans are in detail. A cash out refinance just means that you are refinancing your mortgage to a lower rate for an amount higher than the current balance. You keep some of the difference between the old and new loans – this is some of your equity in the property. For example, say you want $25,000 to pay for college tuition, but you own $100,000 on a $200,000 home. You can do a cash out refinance on your home at $125,000 and keep the $25,000 of equity to pay for college. And usually, you will be getting a lower home equity interest rate on top of the equity you keep. 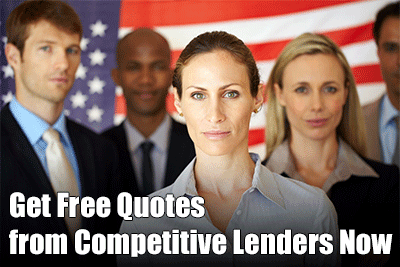 Consider conventional, VA and FHA cash out loans. Pay for large expenses. You can use your equity for whatever you want. The most common uses are home renovations, college and medical expenses. Improve your credit score. Using a cash back refinance to pay off credit card debt will increase your credit score. Mortgage debt is scored differently and more favorably than credit card debt, as people are more likely over time to pay their mortgage given that it is their personal residence. Lower and more stable rate: Mortgage interest rates are some of the lowest interest rates you will ever pay on a loan. Also, it is a steady rate; usually people refinance into a fixed rate loan. So, you know what your payments will be for many years. On the down side, your cash out refinance interest rate is going to be a bit higher than your original interest rate because you are pulling out cash, which makes the loan bigger and riskier. You also need to fully document your credit score, debts, assets and income again just like when you got your original home loan. You also will need to provide your tax returns for the last two years. Closing costs are another requirement of doing a cash out-mortgage. Last, your home is at greater risk of foreclosure because you owe more on your loan, which could be more than the home is worth if prices decline. A cash out refinance could be your best option if you have an interest rate that is higher than current market rates. You do not usually want to refinance unless you are going to be moving into a lower rate. If you are happy with your current mortgage and interest rate but still want to tap your equity, you have other options. You also may get a second mortgage called a home equity loan. This is a form of second mortgage that allows you to receive a lump sum payment of a large portion of your available equity. This type of loan is a good move if you have a good interest rate on your first mortgage, and want to pay for something that requires a lump sum payment. For example, you may need to pay for college tuition for a year or a large medical expense. These types of items are good candidates for a home equity loan. The primary advantage of this type of second mortgage is that it comes with a fixed interest rate. This will be higher than your first mortgage, but it will be considerably lower than personal loan or credit card interest rates. A fixed rate gives you a guaranteed schedule of pay back on the loan, so you know exactly what you will pay and for how long. On the down side, a home equity loan carries a higher interest rate than the other type of second mortgage, the HELOC-loan. Also, as with any cash out loan option, you are putting your home at risk of foreclosure by pulling out equity. A home equity line of credit is the other type of second mortgage you can choose to get your equity. This type of loan has a variable interest rate, and operates like a credit card. You are given a certain credit limit representing a large portion of your equity in the home. You may draw on that credit line up to the maximum amount. The interest rate is low at first, but can rise with interest rates depending upon market conditions. Also, interest only payments are common during the draw period, but can increase when you start to pay on principal. HELOCs are a good choice for people who need to draw on cash over a longer period. A good use of a home equity line of credit is a home renovation. Some home owners also get a cash out HELOC just to have an emergency reserve if they need it. No matter if you choose a cash out home equity loan, HELOC, or refinance you should be able to write off the mortgage interest on your taxes. This is a major benefit of using home equity instead of credit cards and other unsecured loans. Review the current HELOC rates from competitive sources across the nation. With home prices increasing, more home owners in 2017 are turning to home equity to pay for the things that they need. You should talk to your mortgage broker to determine which type of cash out equity loan is best for you. Make the most of new home equity lending opportunities that became available in 2018. Homeowners who are interested in pulling cash out of their properties may wonder which is the best option – a home equity loan or a refinance for cash back. Which of these two options makes the most sense? The answer depends upon several factors, but this article will assume that you decide to get a home equity loan instead of a cash out refinance of your first mortgage. The home equity loan is a second mortgage on your home that leaves the first mortgage in place. You are able to pull out a portion of your equity, typically up to 80% or 85% of the value of the home minus what you owe. You are given this money in a lump sum payment to your bank account to use as you wish. A home equity loan is a frequent choice for homeowners who have one fixed expense that they want to pay for. A common example is a college education, or a major home renovation. Some people also use a home equity loan to pay off credit card debt with a low interest secured loan instead of paying high interest credit cards. Probably the biggest reason that you might choose a home equity loan over a cash out refinance is that you currently are enjoying a low interest rate on their first mortgage. In recent years, interest rates have been very low. In some cases, homeowners may be enjoying a rate on their first mortgage between 3% and 3.5%. In that case, it makes sense to keep the first mortgage in place and get a second mortgage with a home equity loan. The case where it may make sense to do a cash out refinance is if you have a higher interest rate home loan from a decade ago. You may be able to lower your first mortgage rate and to get the cash you need. Otherwise, if you have a low rate on your first, it is logical to keep your first in place and get a home equity loan. Generally speaking, it is easier and less paperwork to get a home equity loan than to do another first mortgage. 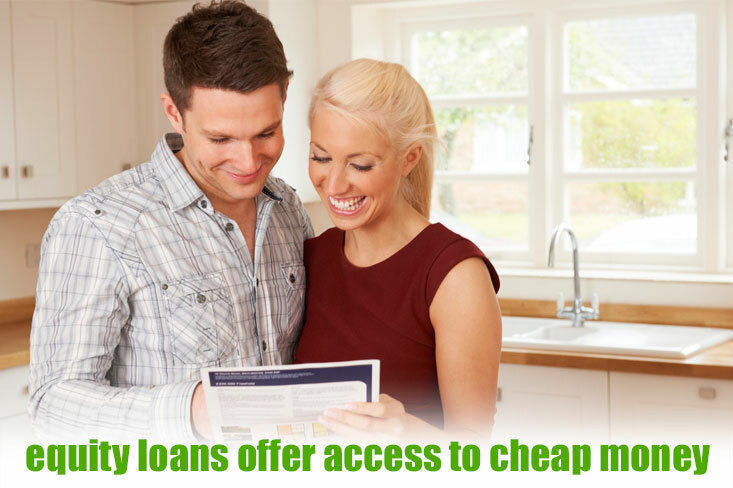 It will take less time to get the loan closed and to get the cash that you need. Redoing a first mortgage can take more than two months to close. Many second mortgages can be closed in a few weeks. You will still need to show your income and credit history to get a home equity loan. But it will still be easier and less complicated than doing a first mortgage. Getting any new mortgage will involve closing costs and fees. However, the closing costs and fees associated with a second mortgage are lower than a first mortgage. You always want to pay any mortgage that you have on your home on a timely basis. You do not want to risk foreclosure on the property. Nor do you want to risk damaging your credit with any late payments. However, the second mortgage lender is paid after the first mortgage lender in the case of a foreclosure. In that sense, paying a second mortgage such as a home equity loan is not as critical as paying the first mortgage. It is possible in some states to even to default on a second mortgage and to still keep the home. We want to stress again that it is important to always pay both mortgages to eliminate any possibility of foreclosure or negative credit history. Home equity loans also have some general advantages. First, a home equity loan has a fixed payment schedule and a fixed interest rate. You know from the start exactly what your rate will be and how long it will take to get the loan paid off. A home equity line of credit or HELOC does have a lower initial rate, but the rate is variable and can change over time. Many people like the stability of a home equity loan. A home equity loan also has a much lower rate than credit cards, although it is a higher rate than a first mortgage. A home equity loan is a good option for the homeowner who has a low interest rate on his first mortgage and wants to get the cash that he needs at a low interest rate. If you have a low rate in the 3-4% range on your first mortgage, you are wise to keep that mortgage in place and get a home equity loan.